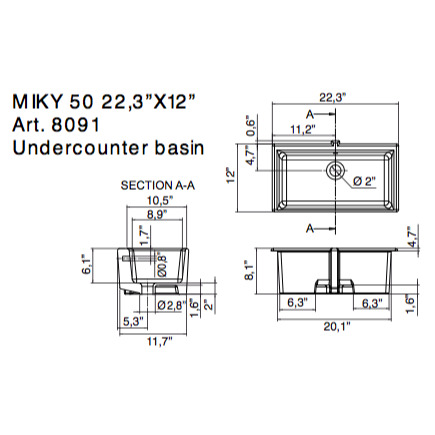 Deep rectangular (23" x 12") under-mounted sink from the Miky collection by Scarabeo. made in Italy. 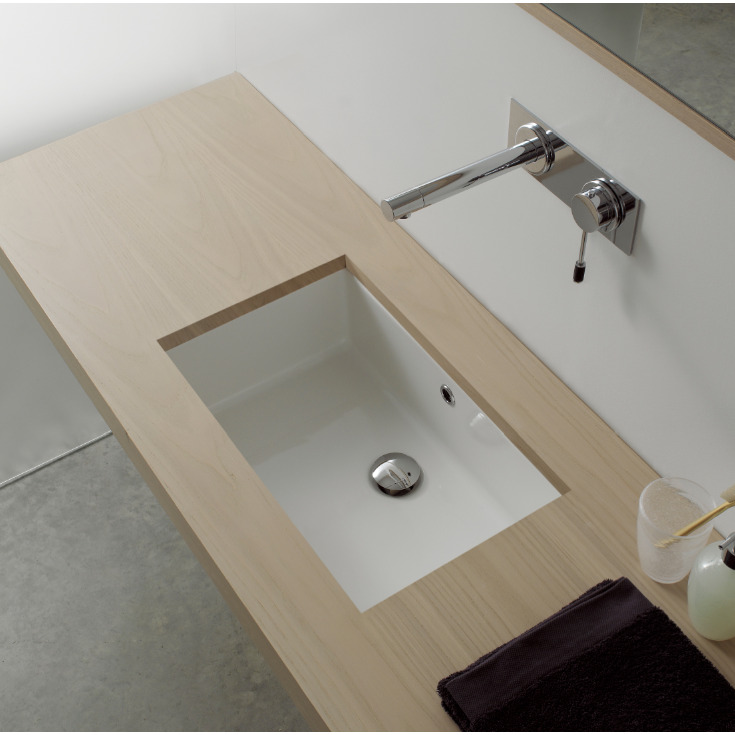 Under-mounted sinks provide a seamless visual appeal and easy cleaning. Made in Italy of high quality porcelain ceramic with a white glazed finish.